Sometimes aimlessly wandering around the internet reaps rewards, but not often. One such serendipitous journey led me to The Portrait Timeline website. It features portraits and historical paintings from ancient times to the 1930’s. 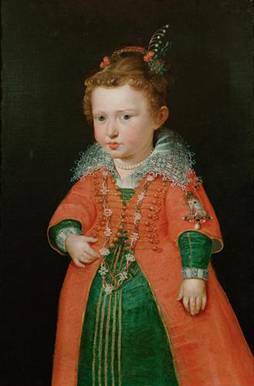 I first searched the 1600’s and was surprised by this colorful costume on a 2 year old girl, c. 1602. 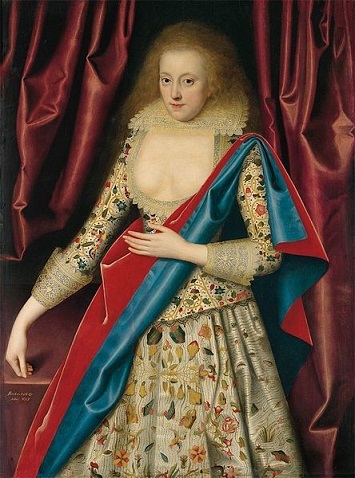 I love this embroidered jacket and skirt from 1617. And what décolletage! 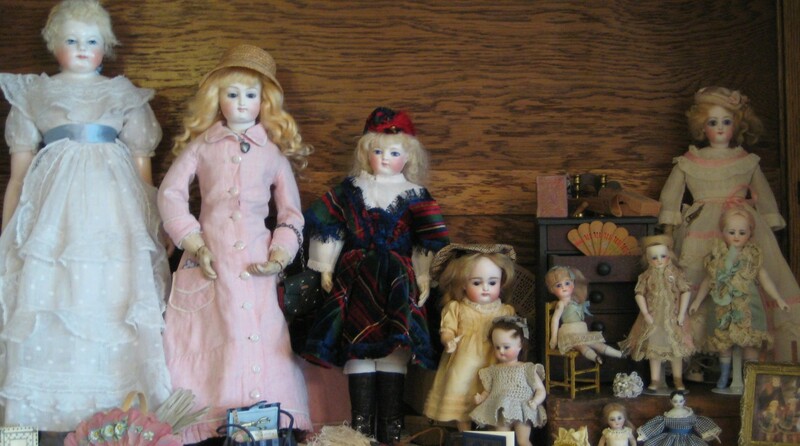 Then I moved on to the 1800’s, when most of my dolls were made. 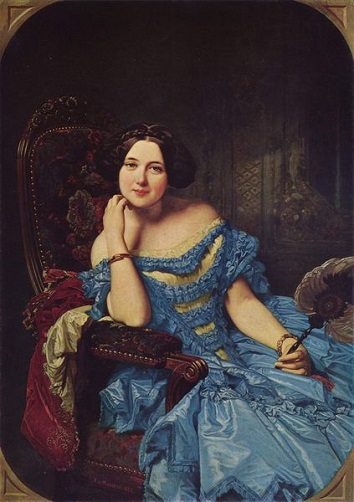 This beautiful BLUE dress from the 1850’s would look lovely on my Huret. And I’ve often thought that it would be fun to embroider the fabric for a dress for her. This one from the 1860’s is inspiring. 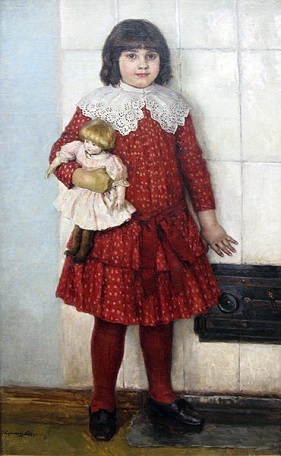 If you costume bebes, or child dolls, there are fewer children’s portraits in the collection. 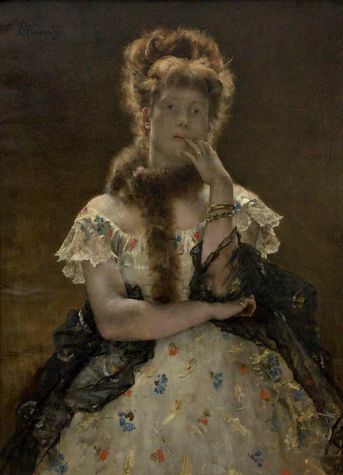 Most of the girls dresses in portraits from 1880 on are white and gauzy without much detail. I was able to find this one from 1888, though. In navigating the website, each century is divided by decade. When you click on a century, it will take you to the first decade of the century and will show the half length portraits. Within each page there is a place to click on full length, group or history paintings. Most of our dolls are women or girls, so there are are lots of portraits of men to wade through, but I find it worth the effort. I hope you enjoy exploring The Portrait Timeline. Let me know if you find inspiration there.